Everyone wants a good night’s sleep, and apart from a comfortable mattress and bed covers to keep you warm, pillows play an important role in the quality of sleep you get. We will start this review by briefly explaining the purpose of memory foam pillows and how they improve your quality of sleep. Memory foam pillows are meant to be more comfortable than standard pillows, but this is not the only way that they are superior. You would be surprised by just how effective they are at improving your sleep. They do this in many different ways. If you want to improve your posture while you sleep, there are few better options than memory foam pillows. Due to their design, you will find that memory foam pillows better approximate the manner in which we are meant to sleep naturally. This provides numerous medical benefits as well as superior comfort. While being more comfortable is its own advantage, it is also linked to more fulfilling sleep. If you are not comfortable, you will find it very difficult to get the full benefits out of a sleep session. This is one of the primary reasons for which memory foam pillows are far superior to their more traditional counterparts. Whether you are a troubled sleeper, or you would just like to enjoy more restful nights, you have few better options than a memory foam pillow. 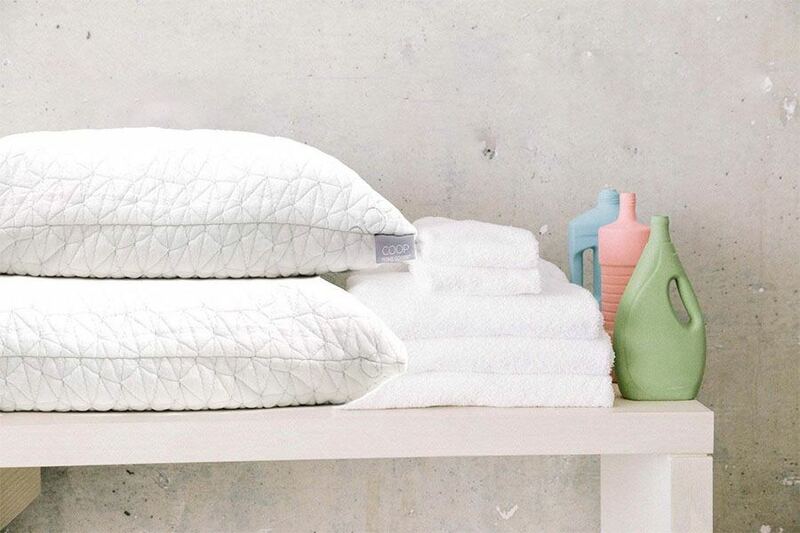 You do not even need to invest in a full set of these pillows; you should be okay with just one of them to start off with so that you can test out the feel of memory foam and find out what you prefer. Before we move on to our review, we are going to take a look at a characteristic that you should consider before you make your memory foam pillow purchase. The size of your memory foam pillow is one of the most crucial aspects to consider before you go ahead and place your order. Pillows are most often sized according to the bed that they are made for, so you can find queen size pillows, king size pillows, and regular size pillows, which are made for beds below queen size. Keep in mind that larger pillows will be more expensive, so be prepared to spend more money if you want to fit out a larger bed with a memory foam pillow set. The price difference between smaller and larger pillows is not that significant, however. You will find that it is, at most, usually a difference of about 10 dollars. Larger pillows will also contain more memory foam. If you are looking to purchase an adjustable memory foam pillow, keep in mind that you will have to remove more foam from it to loosen it up. Larger pillows will also be heavier, so this might marginally increase your shipping costs. You do not always have to purchase pillows that correspond to the size of your bed. If you prefer smaller pillows, you can always invest in pillows that are one size lower so you can maintain that same level of comfort that smaller pillows provide. Sometimes large pillows can just be a little overwhelming. 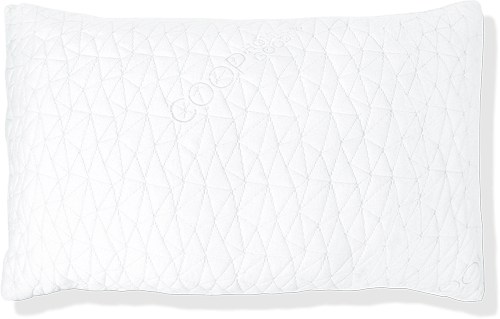 This shredded memory foam pillow from Coop Home Goods is certainly one of the best models that we have come across. It features a range of features that make it immensely qualified for use in all households. If you are looking to ensure that you have the best possible pillows in your home, you have few better choices than this product. 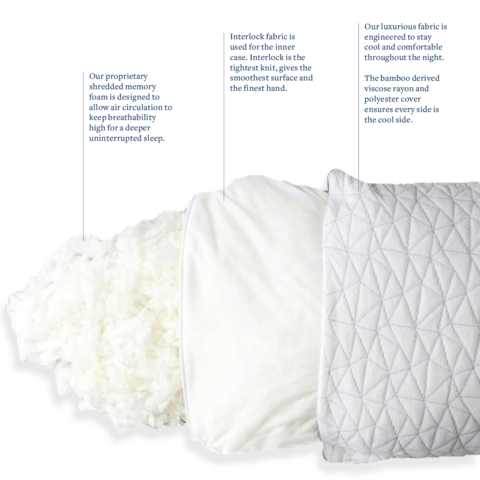 Built with a hypoallergenic design, this pillow can resist dust mites and bacteria to keep you from getting sick, which tends to be a characteristic of the best memory foam pillows. The breathability of this model is rather astounding. Unlike other memory foam pillows, you will find that this product does not heat up excessively during the summertime. If you are unable to sleep with hot pillows, this model’s breathability will ensure that you sleep with comfort and peace. This model also features an adjustable design. The inner case can be opened up so you can either add or remove foam shreds. More foam will make for a firmer pillow while less foam will make for one which is less firm. Your choice of foam quantity is entirely up to personal preference. We also took a look at what customers had to say about this product. Most of them agreed that this is one of the best memory foam pillows that you will find on the market. Praise was mainly directed at the number of sizes available, allowing customers to choose the best pillow for their needs. Some of the negative reviews for this product mentioned that it is not ideal for use by side sleepers. This pillow is slightly lacking in firmness and support, even when it is completely filled with all of the shredded memory foam that comes included with it. This is one of the more affordable memory foam pillows that you will find available, and it features excellent quality for the price. Beyond the excellent value for money, keep in mind that this pillow also comes included with a 30-day satisfaction guarantee. You can buy this memory foam pillow for around 55 dollars. 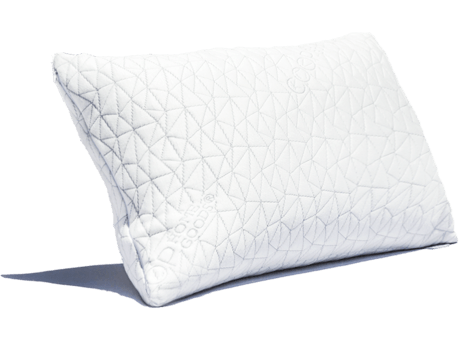 If you are looking for the best memory foam pillow, you have found it. This model is one of the best choices available, and we believe that the low price point makes it the best option around.